This section covers many forms of painting, including watercolor, oil and acrylic paints. There are many techniques and helpful tip to try. This is one of my New Year’s resolutions. I think I’ll try techniques by Bob Ross. 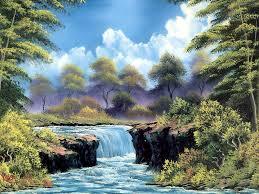 He is one of my favorites and he paints so fast, and still creates such beautiful scenes of nature. 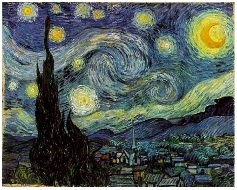 Who know, maybe one day, I’ll be like my all-time favorite, Vincent Van Gough.